Hope is what keeps people going forward when difficult emotions and harsh experiences slam them against the ground–hope for a better life, for a life with less suffering, for the skills to manage challenging emotions in healthy ways. For the emotionally sensitive, less desired emotions like irritation, hurt, sadness and shame can take over their thinking and behavior and become their whole world. When others might be angry or frustrated, the emotionally sensitive may feel rage or fury. What might feel hurtful to others may be crushing and what would be sad to others may be depressing. It’s difficult to go to work, clean house, keep appointments, talk with friends, or otherwise function when experiencing such intense feelings. Experiences such as losing an important relationship, being fired from a job, or even not doing well on a job interview are often interpreted as evidence of how flawed the person is and how she can never be worthy, adequate, good enough or lovable. The experiences are generalized; it’s not that that she missed a question on an exam, it’s that she never thinks or always fails at what she does. It’s not that she had an argument with her best friend, it’s that she can never fit in or be accepted by others. Instead of viewing the experiences and emotions as part of being human, she sees them as proof of her inadequacies, as public evidence of her not being good enough. Being vulnerable enough to feel disappointment, hurt, embarrassment and loss tends to bring shame. Some emotionally sensitive people attempt to defend themselves by blaming others. That leads to more suffering, just as blaming themselves does. These emotions seem permanent each time they occur. Logic says they have come and gone in the past, but each time it is difficult for the emotionally sensitive to believe that the emotions will fade. People believe this time is different, this time the situation/emotions won’t change. Or perhaps that the situations will just keep recurring. This leads to loss of hope. Painful situations will keep recurring, because it is part of being human. Sometimes they may recur because of the person’s intense emotions, but skills can be learned to manage those emotions. For the emotionally sensitive, it’s difficult to believe it is not about a flaw in themselves. It’s sometimes hard for them to to imagine that they could learn skills to manage the pain they feel. Emotionally sensitive people are often more creative than those who aren’t emotionally sensitive. You might imagine that they would be excellent problem-solvers, people who could find solutions outside the box. Often they are. Several issues often get in the way of the emotionally sensitive using their creativity to solve problems. One of these is that no one can think well when emotionally overwhelmed or upset. When you are angry or hurt, your logical thinking is not at its best. No one is a good problem solver when flooded with emotion. People who aren’t emotionally sensitive have usually learned it is best to wait until the emotion passes and then consider the problem. They can manage their emotions so they don’t act on them. Emotionally sensitive people are frequently flooded with emotion and have difficulty not acting impulsively, so when the emotion passes, they don’t want to consider solutions to the problem. They often don’t want to think about the problem. Understandably so, they want to get past it and not remind themselves of the pain they experienced. Thus problem solving doesn’t happen and many don’t have the opportunity to realize the skills they have in finding solutions. Many emotionally sensitive people often underestimate the difficulty that others experience in problem solving. They tend to see their friends, family, and colleagues as solving problems easily. They are discouraged when faced with roadblocks and aren’t able to find a quick solution to these issues. When people talk about problem solving, they don’t usually discuss the discouragement they felt before they found a solution. They don’t emphasize the number of failed attempts or the hours spent trying alternatives. For the emotionally sensitive, the discouragement that is a natural part of creative problem solving is likely to seem an insurmountable barrier, a signal that they can’t do it. Tolerating that disappointment is too difficult, so the emotionally sensitive may back away, give up. Even the idea of problem solving may bring up feelings of discouragement and hopelessness that the person wants to avoid. To overcome this block, remember that discouragement and disappointment are normal parts of problem solving. Awareness that these are normal experiences will help you not mislabel them as inadequacies on your part and help you choose to not escape or avoid the process because it feels uncomfortable. Knowing that feeling discouraged or disappointed is part of the process of coming up with a solution can keep you going. 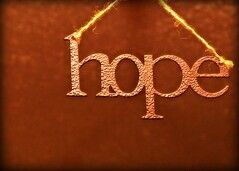 Holding hope is a key to overcoming this barrier. Believing in your ability to cope with issues, believing in your ability to find ways to get through difficult situations will help you overcome the wish to avoid problem solving and the discouragement and disappointment that is part of that process. Look at all that you handle every day. Become aware of and remember your strengths in coping with problems, not just your weaknesses. Consider the creative suggestions that you offer to others. Recognize the wisdom you have when helping others. Validate yourself for that skill. You can use that to help yourself as well. Ask yourself what you would advise someone else to do. Cheerlead yourself along the way to keep the hope alive. Have people in your life who cheer you on as well. Recognize each effective step that you take. Notice when you don’t give in or act impulsively. Be mindful of the positive. Remembering that you can solve problems and you can accept what you cannot solve, even though you may not wish to do that, can keep you going. If you keep going, you are likely to find resolution. Drop perfectionism. Solutions are often not perfect. Accepting what can be done versus what you wish could happen or what you think should happen will allow you to be realistic and effective. At the same time, solutions need to fit you, not what someone else thinks is a good choice. Remember that effective problem solving improves with practice. The world is likely to give you many opportunities to develop your skills. Acceptance and practicing self-validation of your ability to get through tough situations and to problem-solve can help.